Being a train driver is one of the top dreams of men of a certain age! But while many of us are too busy doing other jobs, like shuffling paper about and pretending to be busy, there’s still an opportunity to get into the thundering engine of a speeding train. Picture yourself standing on the footplate actually driving a steam train! Yes, if you play your cards right, you could take the wheel yourself and control a hundred tonnes of steel charging down the track! How’s that for the experience of a lifetime? So how do I drive a steam train? 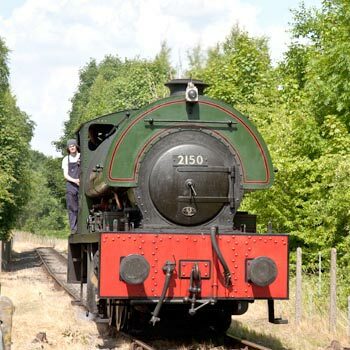 The steam train driving experiences we’ve found are well spread out around England, so wherever you live you should be able to reach one of these special locations. If the nearest one is a long way off, we’re sure it’s worth it. Just look at some of the reviews to show you how much people love it. What happens on this experience? You’ll be helped and guided by an experienced engine driver, of course, who’ll pass on the tips and tricks for steam train locomotives gained over the years, and in no time at all you’ll be Casey Jones yourself, taking the metal monster up and down the track, shunting, manoeuvring and putting the steam train through its paces. See inside a real signal box and get to know the lore of the railways. 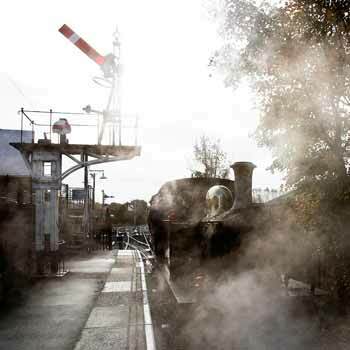 And who do you know that would just LOVE to be given a steam train driving experience for Christmas, for their next birthday, or just to show you’ve put some original though into what to give them that they would enjoy? 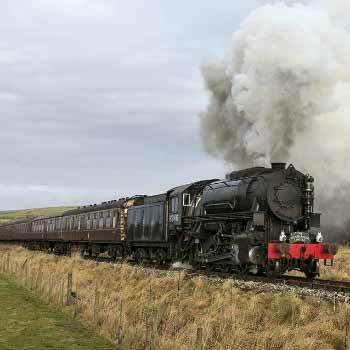 We’ve give steam train trip experiences to friends and relations young and old, and had only the best reports. The choice of both travelling by steam train, and driving a train yourself, is so huge that we recommend checking out the individual experiences in the panels above till you find the one that’s in your price range, in a convenient location, and has just the features you need. Our prices are updated in real time, so you can be sure you get the lowest prices on the net at the moment, and you also get the immediate benefit of any special offers. And at certain times of year, there are quite a lot of special offer experiences about, so keep your eyes open. And because we only feature experiences supplied by the most reliable and reputable providers, then you can be sure that your experience should live up to expectations and you’re buying from the best. We’ve ruled out all the sharks and conmen, so this can be your one-stop steam train experience shop, whether you want to be a passenger or the driver! So click on the link above, confirm the details, and you can buy online there and then. What are you waiting for? Nice, but it takes time to learn, You’re not roaring through through the countryside, more tootling along a straight line, but you’re still driving a train and that doesn’t happen every day. I really enjoyed my day driving a locomotive on the famous Kent & East sussex Reilway. A quick talkthrough of the basic skills was followed by plenty of time in the cab. Admittedly I wasn’t driving through the countryside alone and mainly sharing the cab with the expert as he drove it. But I did start and stop the engine on my own and that was enough of a thrill. These engines are a job for several men anyway and that’s part of the fun – great coversation with like minded train enthusiasts and the roar of the furnace.